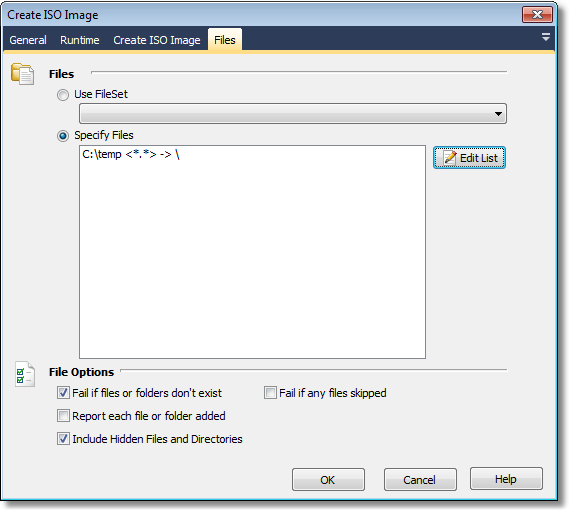 This action allows you to create an ISO CD/DVD Image File. The File Selection is exactly the same as in the Burn CD Action. Note that FinalBuilder does not impose any limits on the size of the resulting ISO File. Enables the Joliet extensions to the ISO9660 file system. This allows you to have file names longer than 8.3 characters. In almost all instances, you'll want to leave this option enabled.